When you think about the expanse of the universe, and the number of lifeless planets there are out there, it is obvious that we are more or less alone here on this blue-green planet that just so happened to be right within the Goldilocks zone of not-too-hot, and not-too-cold, not-too-dry and not-too-liquid, and most importantly, with just the right amount of water. Indeed, it is the existence of water on earth that makes life possible to grow and sustain. Water continues to be an extremely important resource for us. 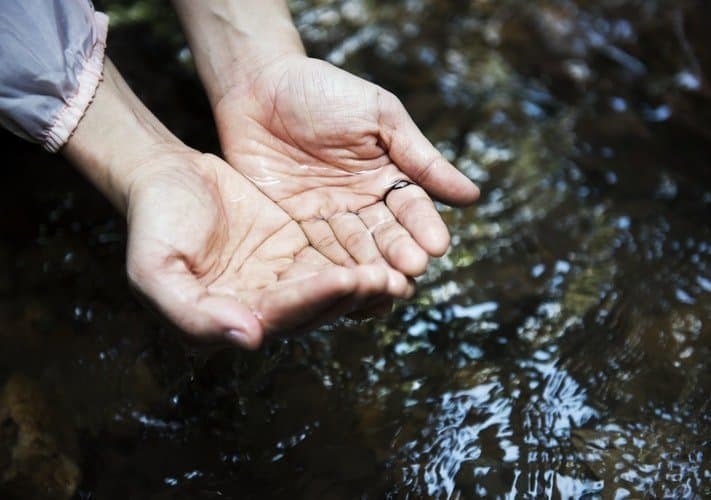 Even in today’s world, in spite of all the social, scientific and technological advancements we have made as a species, about 2.1 billion people in the world do not have access to safe potable water. If you are able to read this article, you are one of the people who probably do have free, unlimited access to safe, drinking water. This is indeed a privilege we need to acknowledge we have and feel grateful for. That being said, it is also important to be aware of the fact that even if a lot of us have access to safe drinking water, we tend to take it for granted and let other priorities take over. In fact, it is estimated that over 75% of Americans fall short of the 10 daily cups of water prescribed by the American Institute of Medicine. Medically, this means you may be one of the people who suffer from chronic dehydration. A lot of Americans prefer to buy a can of soda over a bottle of water, but the amount of water you are likely to drink drops significantly if you replace it with smaller sips of soda. Doctors say that because a lot of people associate feeling woozy, having a headache or mild nausea with being hungry, they will likely turn to food for relief. But the truth is they were likely thirsty and dehydrated. These statistics are alarming for more reasons than one. Our body is made up of 60% water, while our brains make up 85% of water. In this age of knowledge-based work, we simply cannot afford to allow our brain and body to work on low fuel consistently. Helps the digestive system stay healthy and prevent constipation. Did you know that you can lose over 64 ounces (almost 2 liters!) of water per day simply through perspiration? You would wonder how this is the case since you don’t really sweat buckets every day. The truth is that this fluid loss happens mostly through evaporation from the skin since your body needs to maintain its core temperature of 98.6° F (or 37° C). This would not be a problem if most people in the world would simply listen to their brain’s signals and drink enough water to compensate for this fluid loss every day. A large part is because people do not want frequent trips to the bathroom, which interrupts their daily activities. However, you have to remember that next to having your productivity levels depleted and your health compromised due to chronic dehydration, not to mention serious health concerns such as kidney stones or cysts, a couple of extra trips to the bathroom won’t really hurt. There is no constant number of glasses you need to drink to be healthy. Rather, it depends on your age, weight, country or location, and activity level. However, the general recommended amount of water is 90 ounces (11 glasses) for women and 125 ounces (16 glasses) for men. If you want to get really specific, there are ways to calculate how much water you need to drink in a day. Simply multiply your weight by ⅔ and then add 12 ounces of water per 30 minutes of exercise/activity to that figure. Water is one of the most essential things we need to keep ourselves healthy and very much alive. From the brain to the limbs, water can help us in a myriad of ways and affects all our organs and organ systems in complicated ways. Let us explore some of the most important benefits of drinking water. One of the worst negative effects of dehydration is reduced mental performance and tiredness. Drinking water has been actually proven to help you think faster, concentrate better and feel more awake. So the next time you feel drowsy, skip the caffeine boost and reach for a refreshingly cool glass of water. The amount of water you drink will directly affect your bowel movements, which is obviously an essential part of feeling healthy and comfortable. Maintaining digestive regularity can improve your life significantly. Drinking enough water is a known cure for constipation and digestive irregularity. Do you wake up every morning with a headache? Do you get hungover every time you drink alcohol? Do you get back aches from sitting in one place for even a few hours? One of the main causes of headaches and backaches is dehydration. Dehydration affects the brain negatively as well, causing a minor shrinkage from fluid loss. This causes the brain to pull away from the skull, resulting in pain. A similar thing happens in your vertebral column. The bones that make up your vertebrae are supported by discs. These discs contain water in their central nucleus. When these discs are compromised from dehydration, this causes backaches. Water can help you with satiety and help quench your hunger to a certain rate. A lot of people confuse hunger and thirst, and so when you show symptoms of dehydration, you are likely to assume it’s because you are hungry. Drinking enough water throughout the day can help quell these urges, bringing down the amount of food you snack on without truly needing it. In addition, drinking a glass of water before having your meals can make you feel more full, thus reducing the calories you eat. In one study, dieters who drank half a liter of water before having lunch or dinner lost 44% more weight than dieters who didn’t. You may not know this, but drinking cold water can help your body burn more calories as your body will use up more energy to heat up the water to body temperature. 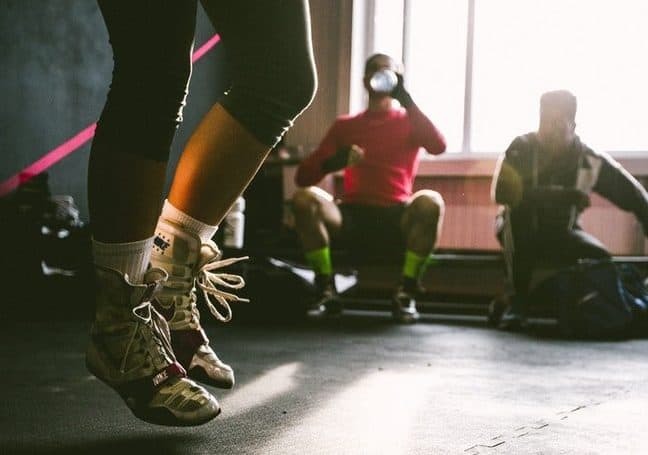 During intense exercise or heat, staying hydrated can be a great way to boost your physical performance and ability to withstand the exercise or heat without tiring out. Dehydration can result in reduced motivation, increased tiredness and fatigue, altered body temperature control, and make exercise feel far more difficult than it is. Also, water can act as a natural lubricant for your joints and muscles. When you are dehydrated, this lubrication is reduced, increasing the likelihood of getting cramps or spraining yourself. To prevent injury while exercising, it is absolutely vital that you hydrate yourself well. Aside from this list, water can help prevent urinary tract infections, kidney stones, regulate menstruation, improve your cardiovascular health, prevent bad breath and reduce depression, among other benefits. As we can see, drinking enough water is absolutely paramount to maintaining our mental and physical health in peak condition. Just like you cannot expect to keep driving a car on low fuel, we cannot expect to run our bodies continuously without water. Water is the very essence of life. Polluted or non-potable water isn’t just dirty. It can be downright dangerous to your health. It is estimated that 1.8 million people die every year from water-borne disease such as cholera. The United Nations considers safe, potable water a basic human right. Even if you live in a place where you have access to clean water, this does not mean that any water you drink is completely safe for you. This is why it is always better to have access to your own water so you need not worry about infections spreading through an unknown water source. Bottled water brands have somehow managed to convince us all that the mineral water that comes in use-and-throw plastic bottles is the safest drinking water out there. Most Americans swear by purchasing and using large quantities of bottled water, and there is overwhelming consumer trust in the purity of bottled water. However, recent studies show that this may not be true. Use-and-throw bottled water tends to undergo far less stringent checks for purity and safety of water than even tap water, and more likely than tap water to be contaminated with infection-causing bacteria! This is especially true in developing areas where the plastic bottles are sometimes even adulterated. Unauthorized vendors will refill used plastic bottles and replace the cheaply-built seal on them, and then sell them to unwitting customers as brand new! Many studies continue to show that using bottled water is not only harmful to our health but also works out extremely expensive in the long run. One of the most important concerns with purchasing single-use bottled water is the severe environmental impact that bottled water causes on the planet. We are at a state of crisis and really cannot afford to be releasing the tons of plastic into our oceans that we do every year. From the production of single-use plastic bottles to the disposal, they are harming our environment in more ways than one. Once the contents of bottled water have been drunk, it creates mountains of waste that are estimated to not get degraded even in 450 years. Even if you say you recycle your water bottles, only a fraction of them actually end up getting recycled. The rest end up filling up landfills, large garbage mountains on the outskirts of cities and eventually make their way into the oceans where marine life is severely negatively affected because of consuming, getting stuck in, choking and eventually dying from ingesting plastic parts. And the negative effects are still not over. Over time, plastic that has been floating about in the ocean will eventually break down into tiny particles that are highly toxic. These particles are called plastic smog. These particles will inevitably be ingested by fish and other animals we fish for seafood, and it will eventually enter our food chain. The ramifications of using single-use plastic water bottles can create a dangerous future for us. To truly reduce these negative ramifications of using use-and-throw plastic bottles and the plastic pollution it causes, it is not enough to simply recycle the water bottles. This is because they will not be recycled into another plastic bottle as the scrap you get from recycling is of terrible quality. Instead, it will get downcycled into something less useful or valuable, such as acrylic yarn or textiles. All you need to do as your part in contributing to environmentalism is to make a commitment to never use a single-use plastic water bottle, and one effective way to do that is to simply purchase a reusable good quality water bottle that you can carry around with you. You will have to make it a habit to carry your bottle around with you and refill it instead of purchasing use-and-throw plastic bottles, but once you get in the habit of doing so, you will find that it is far more convenient to find a source of tap water to refill your water bottle than finding a grocery store that sells bottled water, waiting in line for check-out and then shelling out your hard-earned money just to drink some water. Some research shows that you can save as much as $1800 per year simply by making the switch to reusable water bottles instead of using disposable ones (considering you drink the required eight glasses of water a day). The prices of bottled water are estimated to be about 2000 times more than tap water. Why should you pay this much of your hard-earned money towards bottled water corporations, for absolutely no real benefits to your lifestyle or convenience? You can be assured that the cleanliness and portability of tap water are governed by stringent laws that are non-negotiable. This is not the case with bottled water. No matter where you go, you will most likely find a safe place to fill up your reusable water bottle with tap water. In addition to the above, there is research that shows that disposable plastic bottles are actually extremely dangerous for us to use even now. Disposable bottles leach harmful chemicals and plastics, called plastic smog as we described above, into the water which then gets ingested by people like you or me, or even our young children. This is especially true if they get exposed to high temperatures for extended periods of time, such as being left in the car for too long. This is probably you get the bad bottled water taste after drinking water that has been left out for too long. In contrast, even if the reusable bottle is made of plastic, the plastic used in this bottle is of very high quality and therefore safe for storing liquids for long periods of time. This means that your water will not have that nasty, harmful plasticky taste to it. Another major advantage is its customisability. A lot of people who don’t really drink the required amounts of water do so because they tend to substitute it with tastier options that you have to pay more for. Instead of having to buy boring old bottled water and force yourself to chug on it every hour or so, why not make your drink personalized and interesting? These days, there are a lot of artificial flavors available in grocery stores that allow you to add flavor to your water. If you don’t want to go the artificial route, you can opt for just a squeeze of citrus fruit, a few slices of cool cucumbers or strawberries or any other fruit you wish to flavor your water with. If you still aren’t convinced or dislike flavored water as well, you can fill upyour bottle with anything you wish to drink. From sparkling water, soup, tea or coffee, soup, or even beer (hey, it counts!). If you opt for a metallic vacuum-insulated bottle, you can keep your liquids cool or hot all day long. Speaking of customisability of drink, that’s not all you get to personalize. Buying an aesthetically-appealing water bottle may just be the little treat you deserve to give yourself. 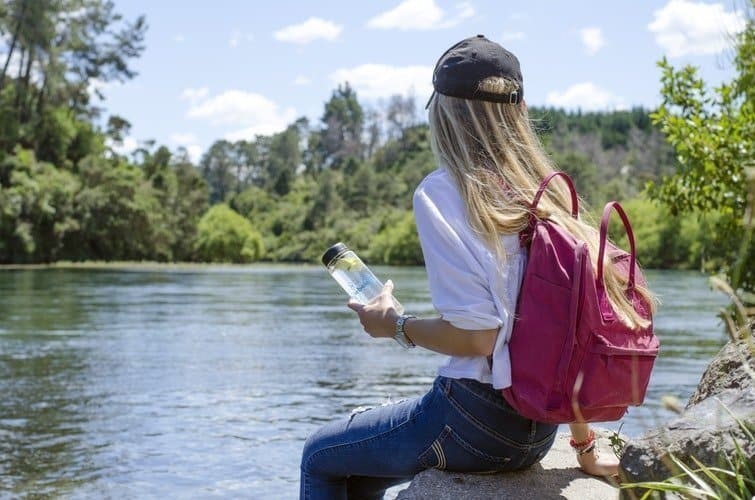 Carrying around a reusable water bottle has become almost a trend these days, and it shows that you care enough about the environment to shell out a bit of extra money. Your reusable bottle can come in any kind of design, color or motif you wish. This makes it just the perfect thing to carry around as a fashion accessory without actually looking like you’re trying too hard. The last but biggest advantage is the fact that it is so easy to use and wash out. Most reusable water bottles come with a clip that you can simply attach to your bag, belt buckle or bike for easy on-the-go access. Also, these bottles tend to be very dishwasher-friendly, so cleaning them is not a hassle for you. Now we come to the crux of our topic. A water bottle may seem like an easy, everyday kind of item you can just pop over your grocery store and find, but over time it can become everything from a fashion statement to a part of your exercise equipment. It is, therefore, necessary to choose the right kind of water bottle meant to suit your tastes, needs, and preferences. Since we have seen that hydration is an extremely crucial need for all kinds of activities, companies have started manufacturing and marketing specialized water bottles suited for different kinds of needs. Whether you need one for your office desk, or you need one for mountaineering, there are all kinds of water bottles available in the market out there. Nowadays, you can find water bottles categorized according to sizes, nozzles, shapes, materials, aesthetic appeal, insulation levels and much more. With so many water bottle choices to make, it can feel like a daunting task to make your choice. It will not do to simply go over to your nearest grocery store, and reach for whatever closest thing resembles a water bottle and come home. A water bottle that is meant for carrying your morning lemon water it will have very different features from a water bottle that you use for your Sunday hiking expedition. Let us dive deeper into what kind of criteria you will need to pay attention to while making your choice from the wide variety of water bottles available to you. This is perhaps the most important criteria while choosing your water bottle. Almost everything else is adjustable according to your requirements, or will not matter nearly as much as the size or capacity of the water bottle you need. If you need your water bottle to have enough water to last you through a whole day at school or work, then you cannot carry a water bottle that is just 16 ounces (500 ml) big. However, if your school or workplace offers places for you to refill your water bottle, then this is an option open for you, since you can simply refill the water as and when you need it, and you will not have to carry a bulky water bottle for no reason. Use the size that coincides best with your requirements or preferred activity. Capacity ranges from 16 ounces to 32 ounces (500 ml to 1 liter). The capacity will depend on a wide variety of other factors, such as gender, age, weight, activity level and any pre-existing condition that affects hydration, such as migraines. If you need the water bottle during hiking or any strenuous exercise, you will need to buy one that provides you with 4 to 6 ounces every 20 minutes, multiplied by the amount of time you will be performing the activity. Another factor to take into consideration depending on the end user is the shape. If you need a water bottle for running or any kind of strenuous exercise, then it can be useful to buy one that is slender enough to fit comfortably in your hand for long periods of time. If you need your water bottle for hiking or any kind of sports that require long periods of time without access to tap or potable water, then you will need one that holds more liquid. If you need one just to keep on your desk in your office or home, then a small one will do too. If you have a sleeve you can slip your bottle into, make sure the dimensions of the bottle allow for you to slip it into the sleeve. In addition to utility, the shape is also determined by the aesthetic appeal of the bottle. Hourglass shaped bottles can be comfortable to hold in your hand, while models will look aesthetically pleasing. There are all kinds of funky and different shapes of water bottles out there. There are water bottles that have cats on them, and ones that are shaped like owls. However, if you don’t want to use an excessively attention-grabbing one, stick to one that is cylindrical. This is another extremely important criteria to take into consideration which will greatly affect how your experience with the water bottle is. Water bottles come in a wide variety of materials as well, making the choice even more difficult. However, if you simply read through the advantages and disadvantages of each, there will be certain materials that will stand out as far more useful for your personal needs and tastes. Plastic bottles have a medium level of durability and are quite easy to dispose of. Because of this, they can be bad for the environment, although not nearly as bad as the actual use-and-throw water bottles. You have read above that plastic water bottles contain dangerous chemicals that can leak into your water giving it the quintessential bottled water taste, and they can be extremely dangerous and bad for you and have been associated with cancer and diabetes. Well, most good-quality reusable plastic bottles are BPA-free, as in free of the dangerous chemical known to be in plastic bottles. You will find them labeled as such. An advantage of plastic bottles is that they can freeze water inside and often have easy to use lids. The ability to freeze water without affecting the make of the bottle is important for people who need their water to remain super cold until they are done with it. The second option is metal water bottles, like Hydro Flask, most often made from stainless steel or copper plating. Usually, this is a long-term solution as these are extremely durable and can really stand the test of time. If you would like to purchase water bottles meant to be bought for life, then buying stainless steel bottles is the way to go. Most often, these bottles are also vacuum-insulated, which makes them perfect if you enjoy hot or cold beverages and wish to carry your beverages with you. This counteracts the advantage offered by plastic bottles being able to freeze liquids, as freezing liquids is simply not necessary in the case of a metal water bottle. The disadvantages include that they can have a slight metallic taste. This is especially true for water bottles which have copper plating. However, if you don’t mind the metallic taste, copper offers an anti-bacterial advantage. This is because the metallic taste in the case of copper comes from the ions copper releases into the liquid which are completely safe for human consumption, however, they kill any bacteria or microorganisms that may be in your water. This gives the copper plated water bottle a great advantage if you wish to use it while traveling to places where you are unsure of the water quality. But make sure that it’s copper because stainless steel does not kill bacteria and does not release ions of any kind. Another disadvantage is that it can be slightly heavy compared to other choices, which makes it tedious to carry if you are going running or need to hold it in your hand for long periods of time. It also has a tendency to dent, which affects its aesthetic appeal. 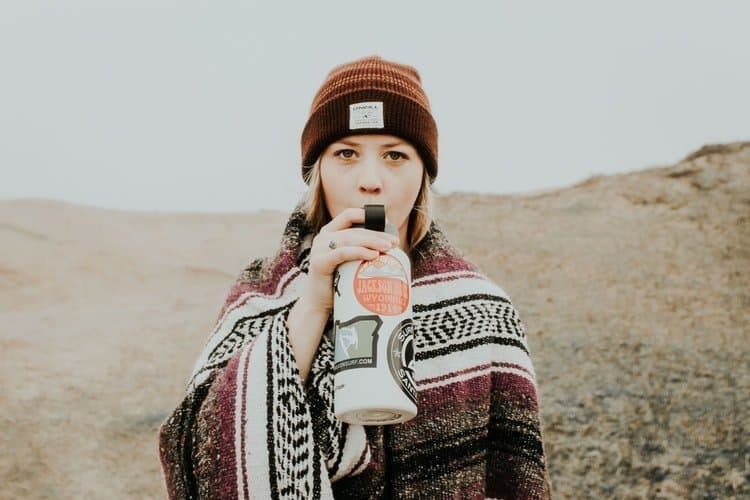 It is a good option if you wish to carry it to work or camping/hiking expeditions and the highest-quality water bottles out there will keep your beverage hot for an entire day. The third and last option available to us is the glass bottle. This is a good option for you if you are sensitive to different tastes of water, as a glass bottle will give you neither a metallic nor plasticky taste, and you will be able to store liquids in it for long periods of time without worrying about any dangerous chemicals leaking into it. There are absolutely no health risks associated with using a glass bottle, and so if you are considering buying one for your baby or toddler to drink from, glass is the best option you can choose. However, be careful with it around children and never let kids handle glass bottles unsupervised – these are also the most fragile option and can easily break from trauma. They are also not insulated and will not keep your beverages hot or cold as per your requirements. They are heavy as well, although perhaps not as heavy as the stainless steel bottles. However, a major advantage with glass bottles is that you can see clearly how much water you have had, and how much you need to take per hour. This makes intake management much easier, and sometimes, glass bottles even come with little markings on the side that show you how many ounces or ml you have drunk. One could argue that a water bottle itself is an accessory. Why would you buy an accessory for an accessory? However, in order to make the most use of a water bottle, it is important to pay attention to the kind of accessories that come with it. For example, choosing a water bottle with a nozzle will be perfect if you are in a situation where you need to drink your water on the go. If you are running, biking or going on a camping/hiking expedition, it simply won’t do to buy a water bottle that sloshes and spills your water about as you’re trying to drink it, unwittingly getting waterboarded by your own bottle. Nozzles allow you to stay on the move, and not have to stop just to focus on unscrewing the handle or losing it somewhere. If you prefer to attach your water bottle to your bag, bike or belt buckle, it can be useful to get a water bottle that has a handle on top to attach a hook through. You can buy clips online, or sometimes, the water bottle will come with one. If you do not wish to rummage about in your hiking or camping bag whenever you want a sip of water or cramp up your hand holding your bottle while running for miles, getting a water bottle with a clip can be a useful addition to your exercise equipment. Another useful addition to your water bottle repertoire is stainless steel or plastic cups or glasses. This is useful if you are going to need your water bottle at your office desk, or if you are going camping. There’s no real point in drinking straight from the bottle, especially when your bottle is the 32 ounce one. Invest in a good quality cup or glass, and improve your water drinking experience. You can even go for funky designs in coffee mugs, and really make it a treat to give yourself. Rewarding yourself for drinking water, after all, will feel great. Did we convince you to invest in some good-quality water bottles? Did we open your eyes to the wide variety of water bottles available in the market today? Ultimately, most of the time you can drink water from a glass from the tap, but investing in a water bottle will improve your experience of something we all need to be doing more of, hydrating! Let us know what kind of water bottle you have, whether or not you use single-use water bottles, and whether this article convinced you to make the switch.